Here at VPS UPS weve been supplying Standby Power solutions for large computer rooms and Data Centres for the last decade and recognise the unique challenges they face. 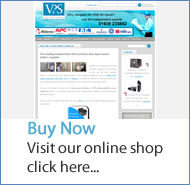 VPS UPS maintains what is arguably the UKs largest database of Standby Power solutions from all major suppliers. Combined with our expertise in Standby Power and large-scale IT implementations, we are uniquely able to configure Data Centre solutions for every requirement. Due to the fact that servers are becoming more powerful whilst shrinking in size the demand for more and more servers is increasing. As a result, modern Data Centres are consuming more and more power. For this reason it is critical that some kind of power contingency is in place. VPS offer power solutions for large computer rooms and Data Centres including UPS, power management and distribution, racked enclosures and more. 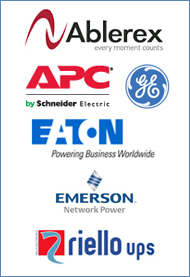 To give you total peace-of-mind, we deliver power solutions that include everything you will need from site surveys, sizing and system design; to delivery, installation and commissioning; with after-sales support in the form of UPS and generator monitoring, health checks, maintenance contracts, battery replacement and disposal. For a site survey or to discuss the power solution requirements of your data centre, please call us on 0800 634 3390 or complete our Contact Form.